The weight of the membrane in the Raidho ribbon tweeter is less than 0.02 grams. Due to the low membrane mass, the tweeter stores no energy and has no resonances. This special tweeter design does not leave any ‘sonic fingerprint’, which makes its performance extraordinaire. The central pair of the four mid-bass units extend from the deepest bass to the midrange crossover at 3 kHz. 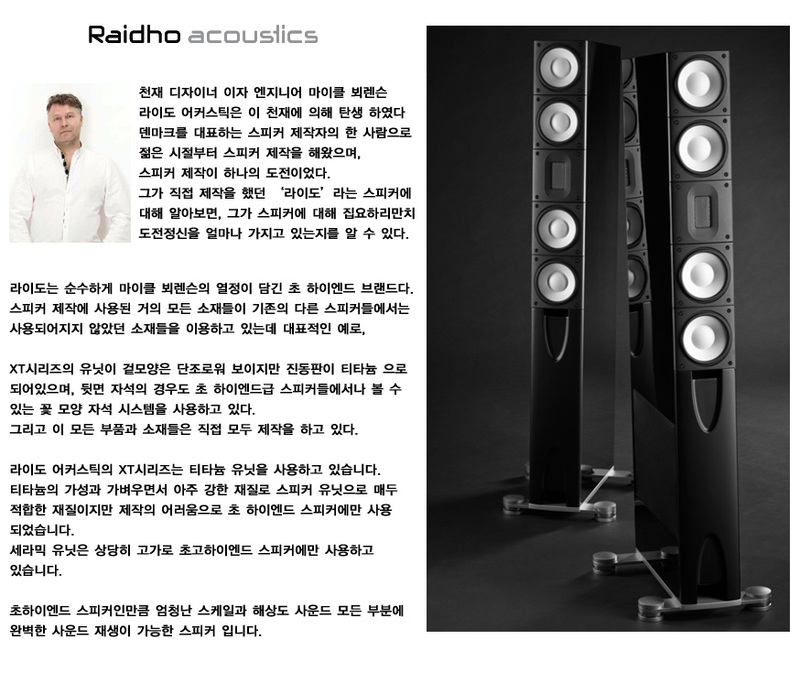 The outer pair of the mid-bass units gradually relieve the inner pair starting at 250 Hz and extend to the deepest bass, thereby reducing the dynamic doubler distortion and increasing the speakers dynamic handling capability. The X-3 side-mounted 8-inch bass driver solidifies performance in the lowest frequencies.